These organizations provide services that make the giving process very fast, easy and rewarding for the donor; as well as they benefit very noble causes. Definitely, the best places to donate a car. Most of the car donation charities require the title of the vehicle without liens or a copy of its release if there is a lien holder in the title. Prepare these basic documents in advance and remember that a lien is a right that other person or entity, such as a bank, has on your vehicle. Car donation charities could sell your vehicle at auction, sell its parts, or use it for their programs. Remember to select charities that can enable you to claim a tax deduction. To check if a non-profit is eligible for this matter, visit this page from the IRS. The mission of this car donation charity is to contribute to Jewish kids and their families through varied programs such as tuition assistance, and many other activities that foster academic, cultural and social development for these kids. How to contribute: Fill out their online form available at kars4kids.org or call them at 1-877-527-7474. 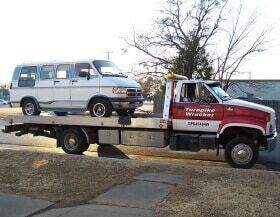 Within 24 hours, you will get a phone call from a towing representative to arrange a time for the pick-up of your car. You do not need to be present at the time your car is picked. After 2 to 4 weeks, you will receive by mail a receipt for your tax write-off or deduction and a voucher for a hotel stay. The Purple Heart is an award created in 1782 by George Washington to provide recognition to veterans of the military of the U.S. wounded in combat. The Military Order of the Purple Heart is a trustable organization that provides aid to Purple Heart recipients, as well as, to all veterans. Through Purple Heart Car Donations, you can contribute to this organization. Expect towing at no cost and tax deductions calculated from your vehicle contribution. Discover their programs through this page from their website to know how your vehicle donation will contribute to veterans across the United States. For example, one of the programs you will contribute to, through this car donation charity, is the research of conditions affecting veterans such as Post Traumatic Stress (PTS). How to donate: Contribute to one of the best places to donate a car, by filling out their online form or call them at 888-414-4483. Then, schedule a date with them to pick your vehicle, title and keys. Lastly, receive in 10-15 business days, an IRS receipt for your tax deduction. 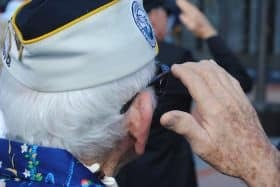 For more charities related to veterans, read our article about organizations in the US to donate cars to veterans. The Salvation Army is a religious organization that accepts cars, boats, trucks and other donated vehicles to fund their rehabilitation programs. These programs enable troubled individuals to re-enter society through assistance, which is one of the broadest among non-profits. Because of their positive impact in society, we consider the Salvation Army as one of the best car donation charities in the United States; and thus, included their program in our list. The Salvation Army accept vehicles that are working or not; but remember to contact them first, because certain vehicles are accepted in certain locations only. How to donate: Contribute to this car donation charity by calling 1-800-SA-TRUCK or through their online pickup page. Your vehicle will be picked, take into account that the organization will cover this cost, and you will receive a receipt for a tax write-off or deduction at the time of pick-up. For a donor, giving the most benefits to those in need is a top priority. The Charity Car Donation Center by Melwood offers a very philanthropic policy: a flat fee of $75 from each donated vehicle sold for processing and management costs. Other non-profits, in contrast, take a 30%-35% per sold vehicle. This policy translates in more funds for those in need. Thus, we rank it as one of the best car donation charities currently in the United States. Melwood is a non-profit that provides job training and employment to people with disabilities. Visit their About Us page for more information. Through this program by Melwood, the donor can be sure his or her car contribution is going to be received by the organization he or she selected: the organization will process all acknowledgement letters to the donor with the charity letterhead, signed by a person of authority of the organization such as its President. Therefore, it is not only one of the best, but also one the most reputable car donation charities. How to contribute: Fill out their online form at melwood.org or call them at 1-877-MEL-WOOD. This organization can accept all vehicles, so you can contribute with your car even if it’s not running. CARS is a logistics company based in San Diego, California that helps non-profit organizations receive car donations by managing every aspect involved in the process. They provide a full service for these organizations: they collect the donated cars, store and sell the vehicles by themselves; and finally, they give the funds to the organization(s) indicated by the donor. These services reduce the efforts and costs involved in the management of this type of programs by non-profits so they can improve their fundraising goals. On the other hand, donors can benefit from their services: when donating a car to a charity, through their website, you can access over 500 non-profits and charities in the United States, you can contribute to, that have partnered with the company. Their website makes it possible to filter the results by category, location or name; a useful way to direct your funds to specific non-profits or areas in the country. In short, CARS is among the best places to donate a car. How to contribute: To make a donation through their website, you can fill their online form available at donatingiseasy.org or call them at 877-537-5277 to receive help from a representative, they are available every day. We also recommend this company because apart from accepting cars, they also accept trucks, vans SUVs, boats, motorcycles, and others; they also pick up your vehicle at no cost within 1 to 3 days, just remember to provide the title of the vehicle upon pickup. And of course, you receive a receipt to obtain a tax deduction. 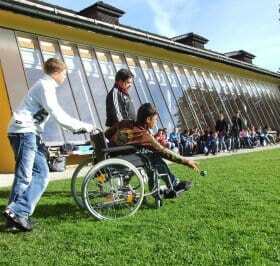 The Arc is an organization that works towards change of federal public policy to protect the rights and needs of people with disabilities of the intellect and development. Their efforts address areas such as employment, health care, education, and others. Because this non-profit provides everlasting results through legislation, that improve the lives of people with disabilities anywhere in the United States, we currently consider it the best charity to donate a car. Another advantage of this car donation program is that the donor can make its vehicle contribution from anywhere in the country. How to contribute: Fill out their form online to donate your vehicle, be sure to have your original car title or lien release. You can also call them at 877-272-2270. Expect towing at no cost, and your tax form within one and a half months for an IRS tax deduction. Visit the rest of our articles for more useful information involving car donations, tax deductions, and more. Donationstips.com is creating better donors in the United States.